One of the things that always amazes me about Canada is that, in the form we know it today, it is a very young country. 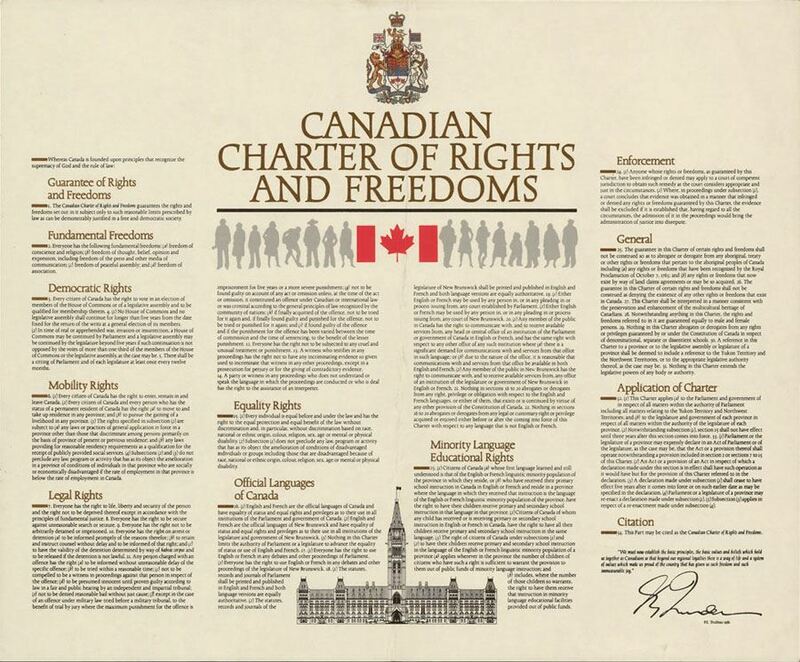 The document above is the equivalent of the US “Bill of Rights,” and forms the first part of the Constitution of Canada -- and was only passed in 1982, just 31 years ago. 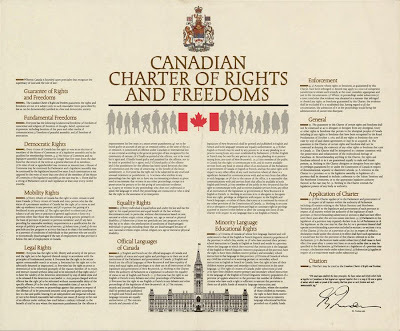 There was a Bill of Rights prior to the Charter (going back to 1960), but it was only a statute rather than a constitutional document and could thus be narrowly interpreted, changed and generally ignored. This document stemmed largely from the work of former Prime Minister Pierre Trudeau -- whose son Justin has just become the leader of the Liberal Party -- and the process of hashing out the complicated issues of judicial versus legislative versus provincial and individual rights was actually filmed for television. I’d like to think that those discussions were much like the ones the US founding fathers had over the original Bill of Rights, and that the filmed record gives us some insight into what happened way back in 1789. The Canadian version -- which to me seems to be roughly equally influenced by the US Bill of Right and by British laws and rights -- is very well laid out and articulate. You can read the actual text of the document here.